New Delhi, April 12 (IANS) Higher food prices pushed India's retail inflation in March to 2.86 per cent from 2.57 per cent during February, official data showed on Friday. Washington/London, April 11 (IANS) The US on Thursday charged WikiLeaks founder Julian Assange with one count of conspiracy to hack a computer to disclose classified information that "could be used to injure the the US", which is linked to the 2010 release of reams of secret American documents, just hours after British authorities arrested him in London. 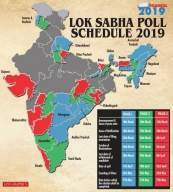 With an upswing of about 4 per cent in vote share, as reported in recent polls/surveys, can the Congress tide over its lowest ebb (44 MPs in the 16th Lok Sabha) and dethrone the incumbent? Perhaps a deep dive into two latest surveys -- CSDS-Lokniti and Times Now-VMR -- will serve the purpose. 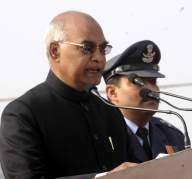 New Delhi, April 4 (IANS) President Ram Nath Kovind has forwarded an Election Commission (EC) letter to the Ministry of Home Affairs on Rajasthan Governor Kalyan Singh's violation of model code of conduct, asking it to take "necessary action", an official said. Mumbai, April 4 (IANS) The beleaguered Videocon Group has admitted to stupendous outstandings to various lenders - public and private - amounting to over Rs 90,000 crore, making it perhaps the biggest corporate bankruptcy case in Indian banking history, official sources said on Thursday. New Delhi, April 4 (IANS) In an implicit criticism of Prime Minister Narendra Modi and BJP President Amit Shah, BJP veteran L.K. Advani on Thursday said the BJP never regarded those who disagreed with it politically as "enemies" but only viewed them as "adversaries". New Delhi, April 4 (IANS) Political parties in India spent over Rs 3.76 crore on 831 election ads on Google platforms between February 19 and April 3, with the Bharatiya Janata Party (BJP) leading the table with the expenditure of Rs 1.21 crore for 554 ads, the Google India Transparency Report revealed on Thursday. 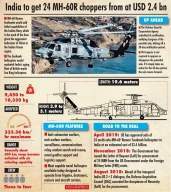 New York, April 3 (IANS) The US has approved the sale of 24 submarine-hunting MH-60R Seahawk Multi-Mission helicopters to India in a $2.6 billion deal aimed at strengthening their strategic relationship, according to the Defence Security Cooperation Agency (DSCA). New Delhi, April 2 (IANS) As IPL fever takes over the country, Indian fans remain glued to their television sets for the action both on and off the field. New Delhi, April 2 (IANS) Caste dynamics has been the bedrock of Bihar's politics and this time the two opposing forces - the ruling National Democratic Alliance (NDA) and the opposition Mahagathbandhan (Grand Alliance) - have gone back to social engineering drawing boards to select candidates. New Delhi, March 20 (IANS) Voters in Kerala, Rajasthan and Gujarat are most satisfied with their outgoing Members of Parliament (MPs) while those in Uttarakhand, Goa, Uttar Pradesh and Tamil Nadu are least happy with the performance of their elected representatives. New Delhi, March 18 (IANS) The Indian Premier League (IPL) has been the perfect platform for youngsters to showcase their skills and impress the global audience. In the last 11 years, the IPL has seen some quality players make a mark. New Delhi, March 18 (IANS) The Facebook livestreaming of New Zealand mosque shooting has brought to the fore a critical issue for the law enforcement agencies to deal with, as tech giants struggle to find a solution to pro-actively stop such incidents. 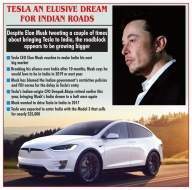 New Delhi, March 15 (IANS) The 2014 general election, of course, remains seminal for it belonged to one man only - Narendra Modi - as the Hindu vote aggregated behind him in an unprecedented manner, cutting across all caste arithmetic. 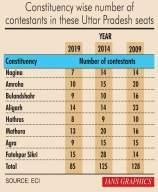 Then there are Bihar 2015 and West Bengal 2016 elections. 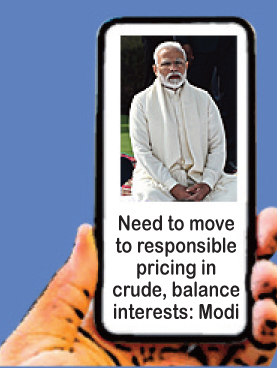 But before that, take a look at modern communication tools, which did not exist earlier, the widespread usage and prevalence of social media like WhatsApp, Facebook and YouTube in political electioneering. 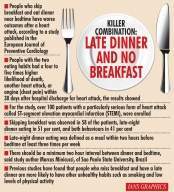 This is constant and continuous with political parties like the BJP mastering the art of feeding the electorate. New Delhi, March 15 (IANS) The Yo-Yo test might be considered a must under the leadership of India skipper Virat Kohli and coach Ravi Shastri, but M.S. Dhoni's Chennai Super Kings will not be performing the fitness test as they gear up for the rigours of the 12th edition of the Indian Premier League (IPL). New Delhi/Mumbai, March 14 (IANS) Air passengers face the grim prospects of high air fares and fewer flight choices as several airlines cancel operations due to a number of reasons including the grounding of 737-MAX aircraft. New Delhi, March 14 (IANS) Facebook ruled out a cyber attack on its products Whatsapp, Instagram and Messenger, which suffered service outage for hours on Wednesday. 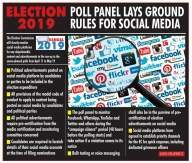 New Delhi, March 11 (IANS) With the Election Commission outlining stringent guidelines for social media usage during elections, political parties and candidates won't be able to post unverified advertisements, photographs of defence personnel, hate speeches and fake news on their accounts. New Delhi, March 11 (IANS) President Ramnath Kovind on Monday presented 55 of the 112 Padma awards - a Padma Vibhushan, eight Padma Bhushan and 46 Padma Shri - to distinguished personalities from different fields including a doctor pair.